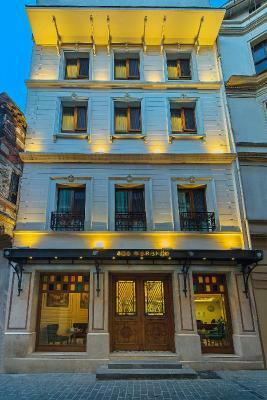 Lock in a great price for Ada Karakoy Hotel - Special Category – rated 9.4 by recent guests! 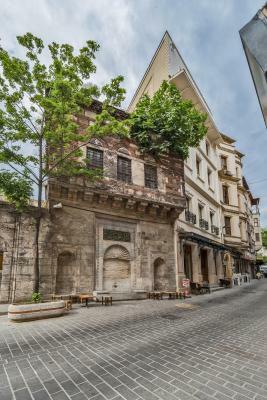 Location cannot be beat- just a tram ride from the historic center, ferry ride from Kadikoy and short walk from Pera and Beyoğlu. Next to great and less touristy restaurants. Loved it. The breakfast offers extensive choices, although somewhat substandard coffee. Super friendly and helpful staff. 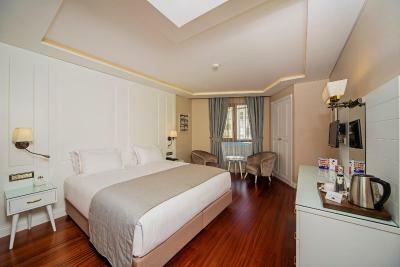 Comfortable bed and clean bathroom, kettle coffee and teas, reliable wifi. 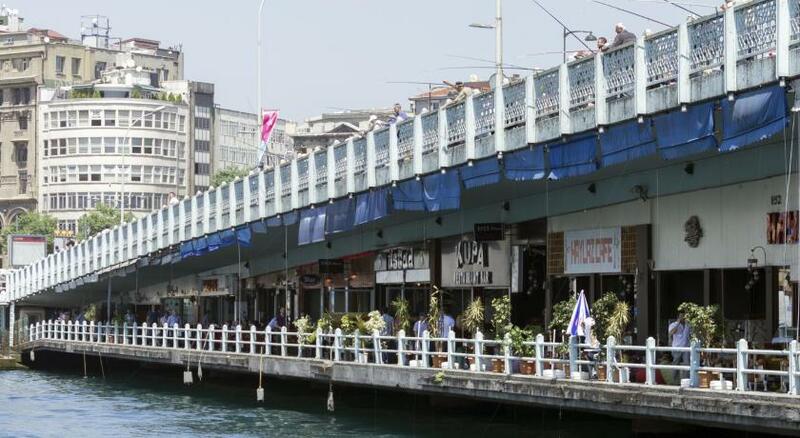 Location in pleasant neighborhood with restaurants, shops, banks, baklavas... also well connected (tram, boats, and not far from subway). 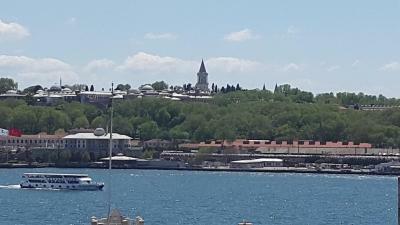 Breakfast with a view on Topkapi across the Golden Horn. Friendly staff. 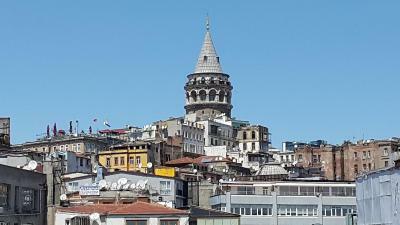 We came to Istanbul by car after driving from others cities during 9 travel days. 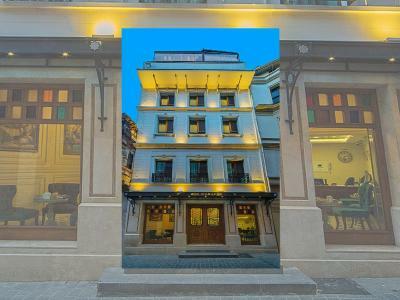 The hotel is located on the small road and car might not able to stop on the front of hotel. 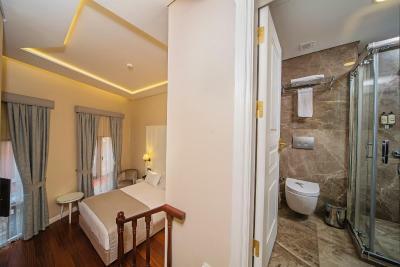 There is a car park building about 100 meters from hotel with cost 20 lira per day. The hotel staff did not help us to get to the hotel like other hotels before. 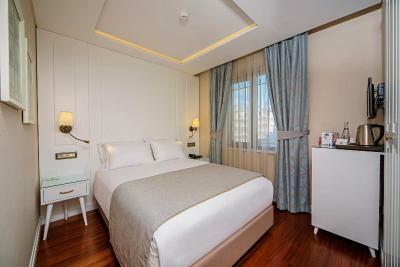 The hotel location is just 5 minutes walk to Karakoy tram station and some other interesting tourist destination like galata tower, istiklal street and Egyption bazaar. 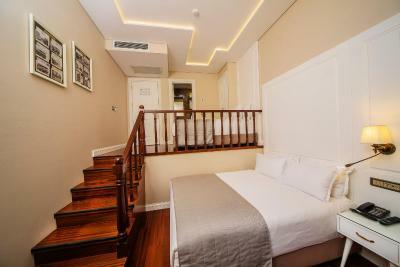 The room is clean and our room for 3 adults with 2 beds on 2 floor levels. It slightly tight with 2 luggages. The breakfast is simple but good especially the scrambled egg. 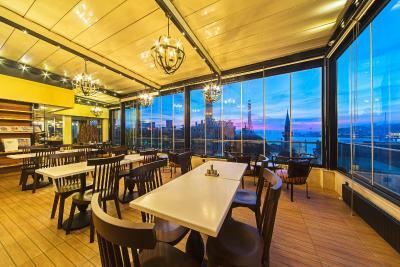 The dining hall is fantastic on the roof top with wonderful view. It is recommended for traveller with small luggages. 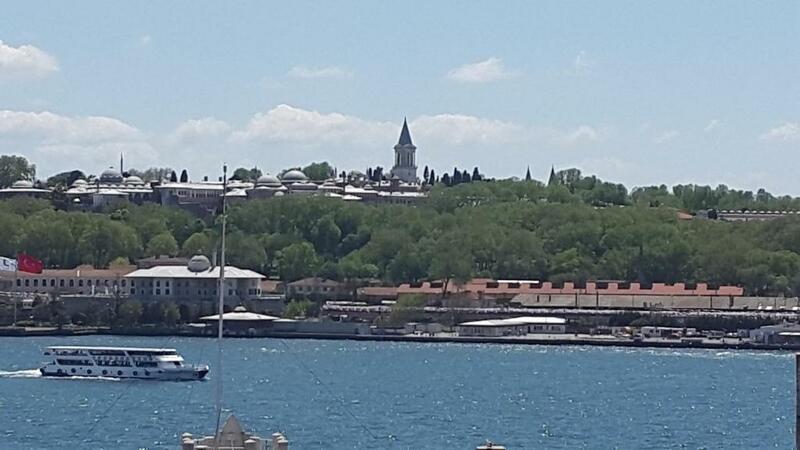 Amazing location near to most important places to visit. 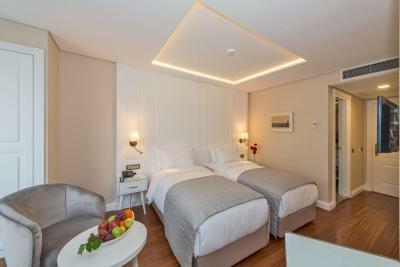 Located only 500 feet from Karakoy Ferry Port, Ada Karakoy Hotel - Special Category offers a terrace, 24-hour front desk service and soundproofed rooms with free WiFi. 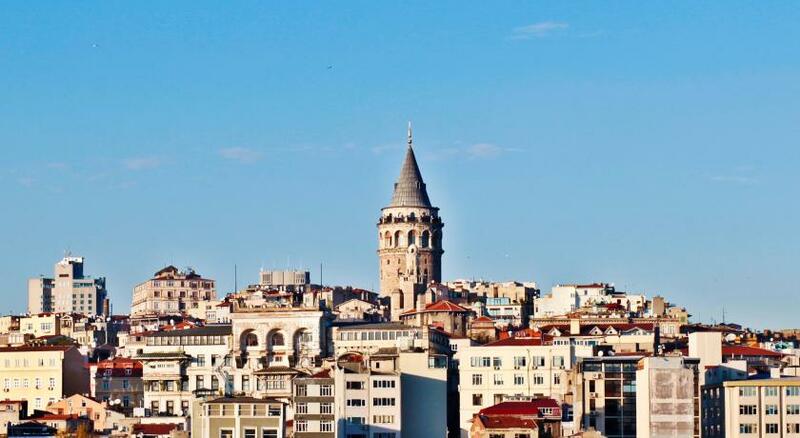 It is 1,500 feet from Galata Tower. 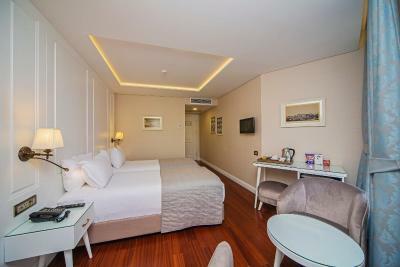 All rooms have air conditioning and a flat-screen TV with satellite channels. The private bathrooms come with a hairdryer. 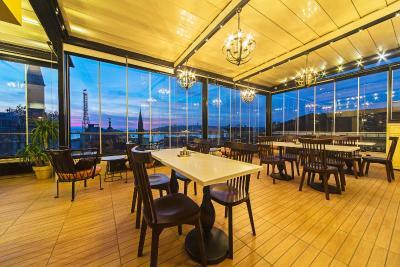 The hotel offers continental breakfast upon request on the terrace. 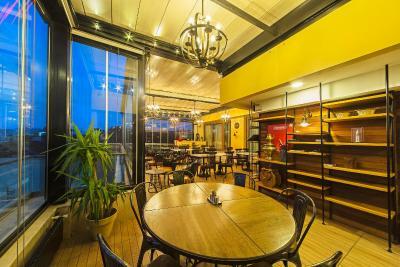 There are also numerous restaurants within walking distance. 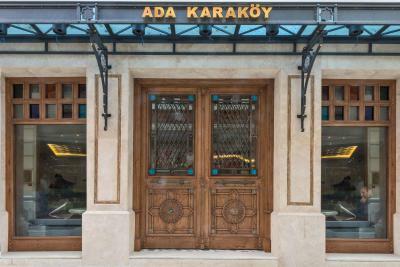 Karakoy Tram Station is only 150 feet from Ada Karakoy Hotel - Special Category. 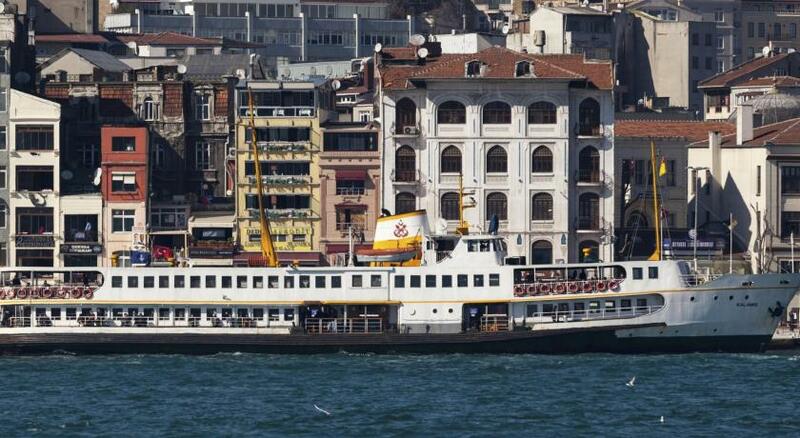 Istiklal Avenue is 2,300 feet away. 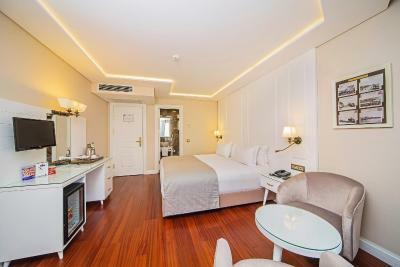 Ataturk Airport is 11 mi from the hotel. 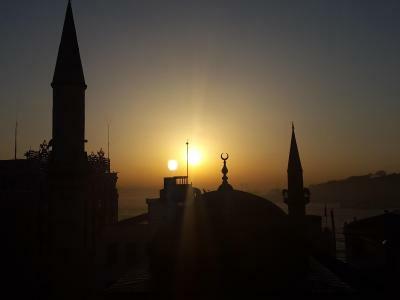 Istanbul Airport is within 32 mi. 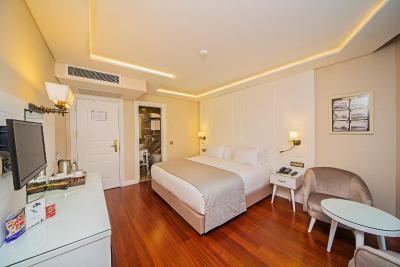 When would you like to stay at Ada Karakoy Hotel - Special Category? 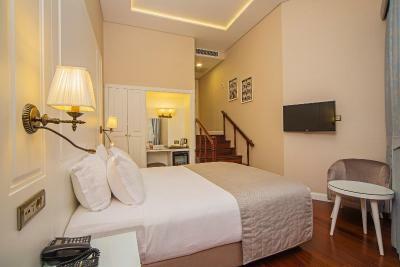 This double room has soundproofing, air conditioning, mini-bar and satellite TV. Complimentary tea and coffee making facilities are provided. Offering views of the street, this family room has soundproofing, mini-bar, air conditioning and satellite TV. Complimentary tea and coffee making facilities are provided. 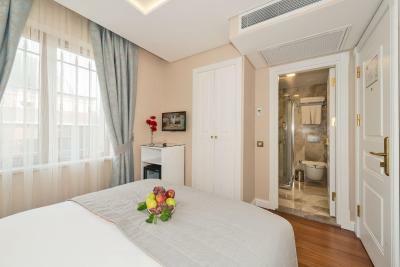 This double room has soundproofing, air conditioning, mini-bar and satellite TV. It offers street views. Complimentary tea and coffee making facilities are provided. 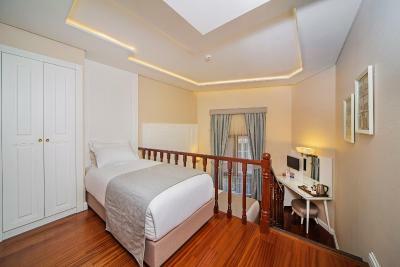 This double room has air conditioning, satellite TV and garden view. 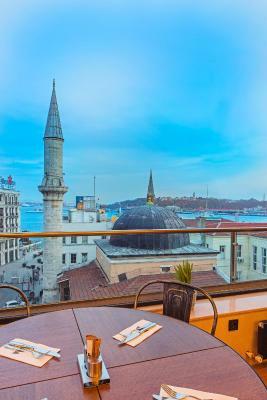 In the arms of the old town of Istanbul backed with an astounding breath-taking view from the terrace of the world’s most cherished constructions namely Hagia Sophia, Blue mosque (Sultan ahmet mosque),Topkapi palace, and Galata Tower; stands tall our state of the art built special class Ada karakoy hotel. 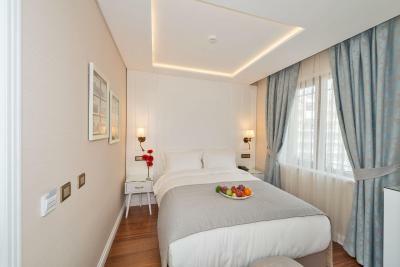 Ada karakoy hotel is the second business venture of Laleli Gonen Hotel and is a new, classy, modern and technologically up to dated hotel. 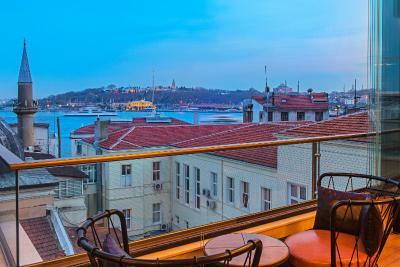 House Rules Ada Karakoy Hotel - Special Category takes special requests – add in the next step! 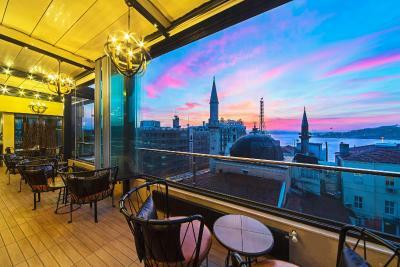 Debit card Ada Karakoy Hotel - Special Category accepts these cards and reserves the right to temporarily hold an amount prior to arrival. 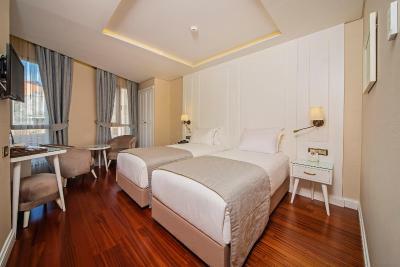 Ada Karakoy Hotel - Special Category accepts these cards and reserves the right to temporarily hold an amount prior to arrival. 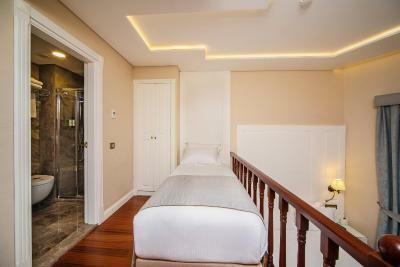 Please note that this property cannot accommodate children under the age of 7. 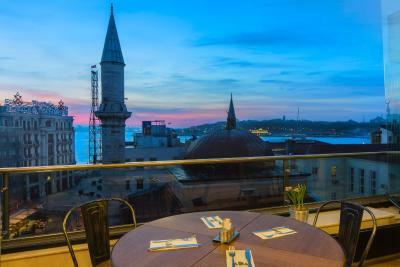 Daily breakfast will be served as buffet or traditional Turkish breakfast with variety of dishes served to your table. Breakfast type may vary. The location is great. The staff are friendly and helpful. Please keep going to maintain such standards. 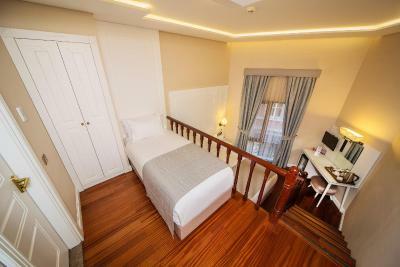 The property is well managed.Its very clean and has excellent service.Hotel staff is very friendly and responsible. I am very happy with overall service. 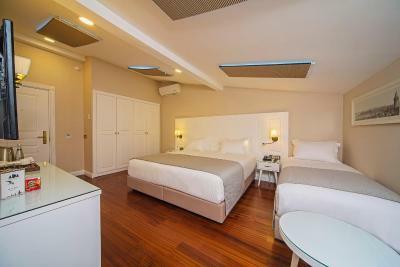 - very clean rooms, matching the description - very calm - very friendly service - great location I would stay here again and recommend it to friends. 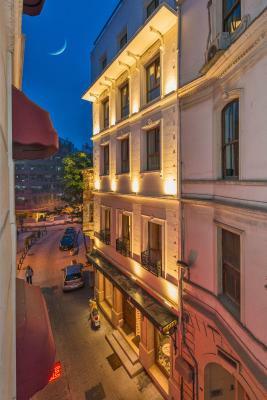 Charming boutique hotel located conveniently in the delightful Karakoy quarter. 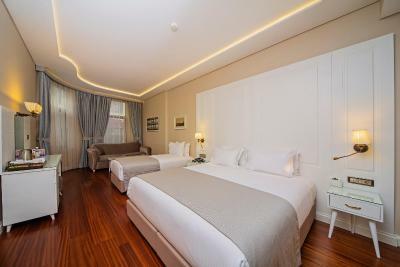 Helpful and enthusiastic staff and very confortable rooms, we’d happily stay here again. 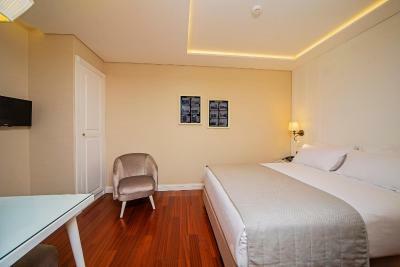 Room are smaller than on the pictures in booking, so if wondering always choose the bigger option. 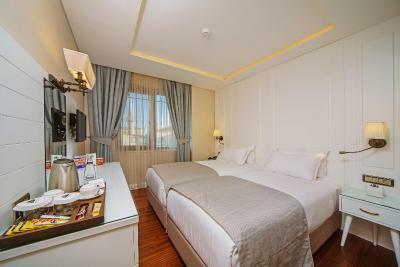 However room is very comfortable, so you won’t be missing anything. Property was great. 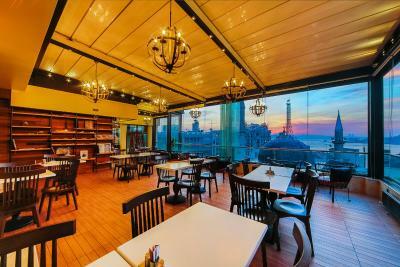 The location is perfect, the view is breathtaking, all things at breakfast were wisely chosen and very tasty. The staff is always friendly and it is very clean. 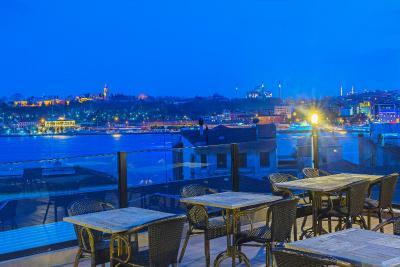 Best thing: Rooftop floor is always open so you can have a drink during the whole day or just go out to chill and enjoy the view which is literally everything. A little bit boring breakfast. 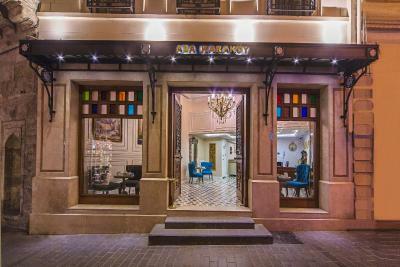 Great staff Mr. Onur and Mr. Faroq Excellent location, We were connected with most of places easly. 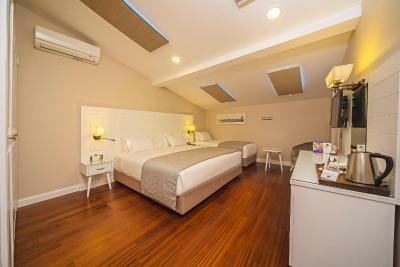 So clean room with a kind smell I extend the period of staying from 2 nights to 5 nights. Everything was just great: cleanliness, location, facilities, atmosphere. Specially want to mention the service: extremely attentive and helpful. The price is super reasonable as well. 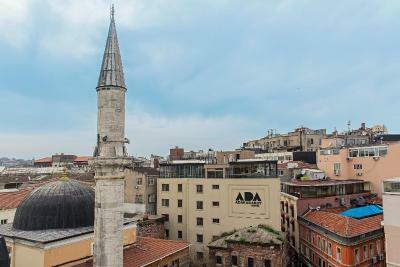 We stayed at Ada Karakoy Hotel for 5 days in the beginning of January and had a really good experience. 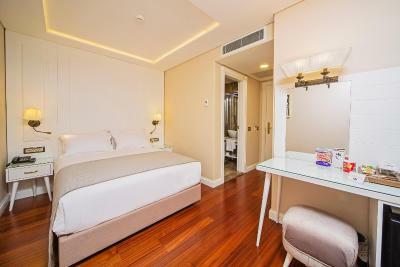 Hotel staff helped us with transfer from airport on arrival and departure for reasonable price. 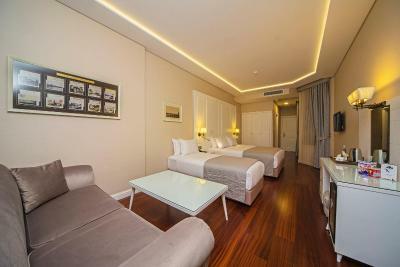 Rooms are clean and spacious and everything is as showen on the photos. All the staff members speak good english so we could get all the informations about city and public transportation directly from them. 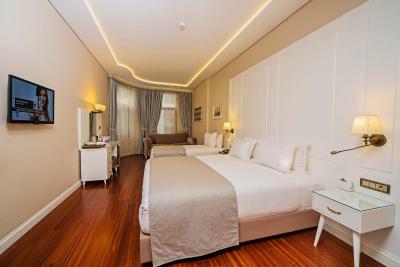 Hotel itself is situated at great location so pretty much everything we wanted to see was in walking distance. 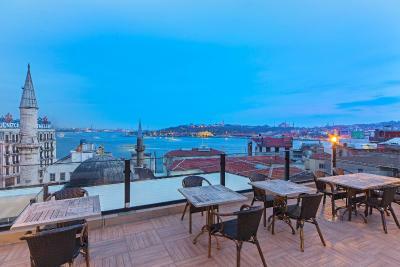 We already recommend Ada Karakoy Hotel to all of our friends that are planning to visite Istambul… and we will defineitely stay there next time.